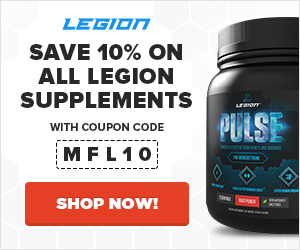 Looking to add some variety to your daily carbs? These healthy bread recipes will hit the spot every time! At the grocery store, three things are on pretty much everyone’s list: milk, eggs, and bread. But why not use the first two to make the last food staple from scratch? In fact, there are countless ways to bake a fresh loaf of bread, and some don’t even require flour. 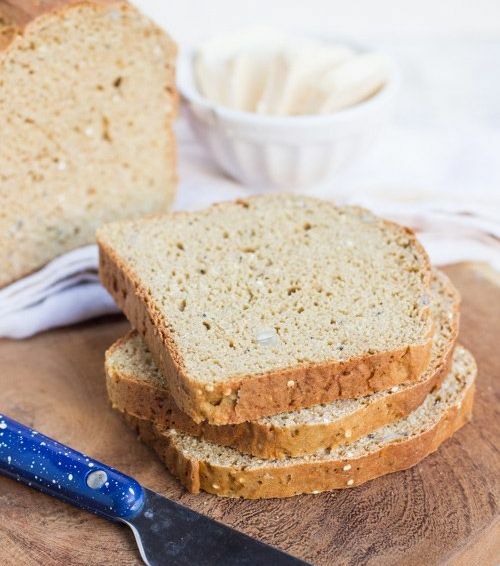 Whether you want to get more quinoa, cauliflower, protein, or sweet potatoes into your diet, there’s a homemade bread recipe here to help you say goodbye to classic white Wonder Bread. Quinoa is all the rage in health food stores these days, and now it’s even widely available as a flour. 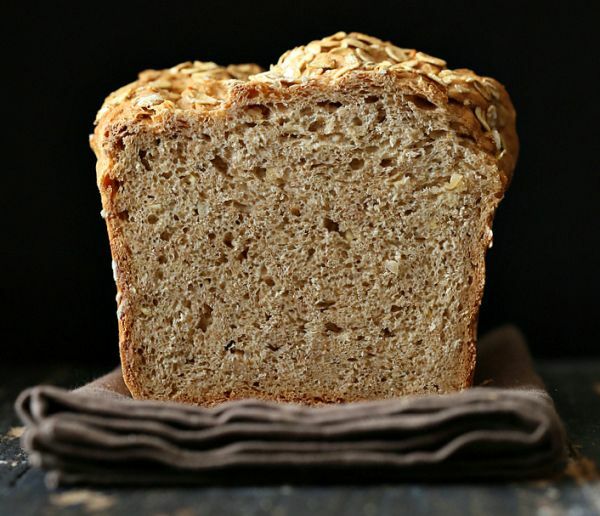 This recipe uses a few different types of flour, including chickpea and sorghum, to make a bread that’s as rich with nutrients as it is with honey whole-grain flavor. 1. Add the yeast to warm water, and stir. Whisk in the honey, and let stand for 5–8 minutes. 2. In a bowl for a stand mixer, whisk together the chickpea flour, quinoa flour, sorghum flour, potato starch, xanthan gum, and salt. Set aside. 3. In a small bowl, combine the eggs and oil. Then turn the mixer on a low speed, and mix in the yeast first, then the beaten eggs and oil. Mix for a couple minutes, then for a minute on medium, adding the quinoa and seeds. 4. Line a loaf pan with parchment paper, and transfer the dough to the pan. Leave in a warm space in your house, and let rise for 30–45 minutes. When ready to bake, the loaf should have doubled in size. 5. Preheat the oven to 375°F, and ensure there’s space on the center rack. Bake the bread for 40–50 minutes until the loaf is browned. If you tap on the side, it should sound hollow. 6. Flip the bread out of the pan onto a clean, flat surface, and let sit on a wire rack. Once cooled completely, slice and serve. Store extra slices wrapped in foil and in a zippered plastic bag. Bread from cauliflower? It might sound weird – unless you’ve already tried this gluten-free variety made of broccoli. 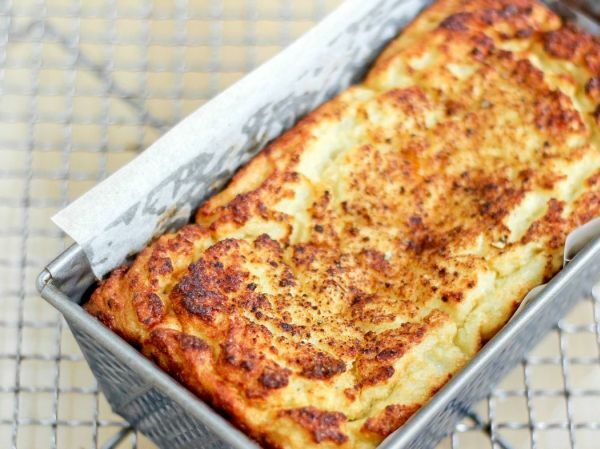 But due to its color, or lack thereof, it’s easier to hide cauliflower in this bread along with coconut flour, grated cheese, egg whites, and casein powder. 1. Preheat the oven to 400°F. Line a loaf pan with two sheets of parchment paper, or a silicone baking mat. 2. Put the cauliflower into a large food processor, and pulse until finely chopped with a texture like rice. 3. Add the coconut flour, protein powder, grated cheese, salt, baking soda, eggs, lemon juice, and seasoning to the food processor, and pulse until the mixture is smooth. 4. Pour the batter into the prepared loaf tin, and place in the oven. Lower the temp to 375°F, and bake for 10 minutes. Lower to 350°F, and bake for another 50 minutes, until the dough has risen and the top is golden brown. 5. Remove from the oven, and allow to cool on a wire rack. Once the cauliflower bread has fully cooled, slice and enjoy. Prefer flatbread? This one from India is delicate and thin, perfect for a wrap or to pick up pieces of curried chicken. The only downside to chapati is they are better fresh, within 30 minutes of cooking. Either make the dough ahead of time and keep it in the fridge or freezer, or store a batch in zippered plastic bags for several days. 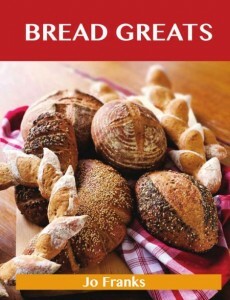 No matter what kind of bread you want to make, you can probably find the recipe, along with this one, in Bread Greats: The Top 92 Bread Recipes. 1. Sift the flour and salt together into a large bowl, and gradually add water. Mix in a little at a time until the dough becomes hard. On a flat surface, knead the dough for 5 minutes, until it becomes elastic. Return the ball of dough to the bowl, cover, and place in the fridge to chill for at least 2 hours. 2. To cook, break off a lump of dough, and form it into a ball about 2” in diameter. On a floured board, roll each ball flat to make a disc that’s 6–9 inches in diameter, about 1/8” thick. 3. 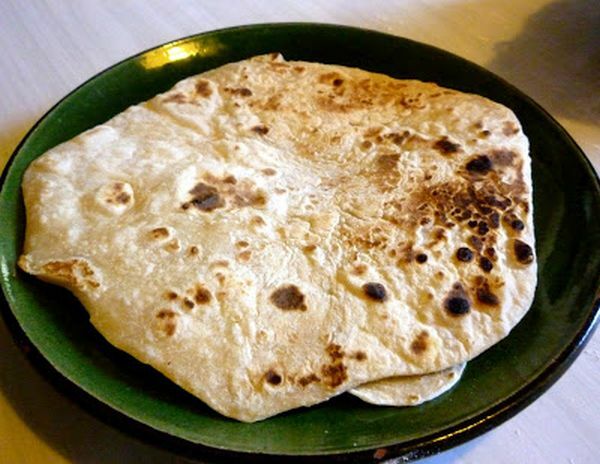 If you do not have a tawa, the traditional way to cook chapatis, simply use a dry frying pan. Sprinkle it with flour, heat gently, and place the dough discs in it. Cook until it is dry on one side, turn it over, and cook on the other side. This should take about a minute. 4. Use tongs to transfer the chapatis from the pan to a low heat source, such as a gas or electric stove, to cook for just a few seconds. You will see brown spots form on the outside, and the chapati will puff up. Place them in a tea towel, and keep in an oven to keep warm before serving. 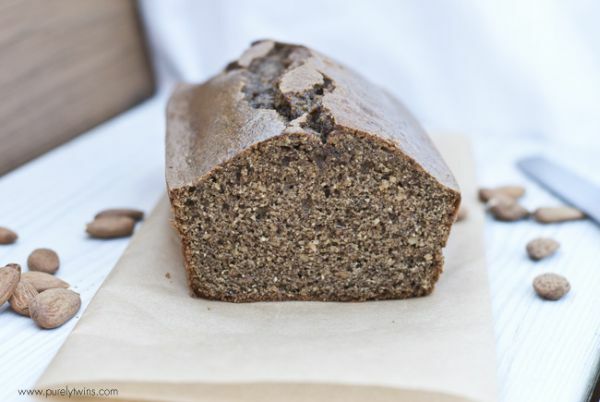 Looking for bread that’s Paleo friendly? Instead of wheat flour, this recipe is loaded with almonds, hemp protein, and coconut flour. It also has apple cider vinegar, which not only rounds out the flavor but adds health benefits, such as being a weight-loss aid and supporting good digestion. This bread has a unique flavor from cardamom spice, but you can swap it for cinnamon if that’s more your style. 1. Preheat the oven to 350°F. Grease a loaf pan (8.5” x 4.25”) with coconut oil. 2. In a large bowl, use your hands to mix together the almond butter, eggs, maple syrup, hemp powder, coconut flour, cardamom, baking soda, baking powder, vanilla, and raw apple cider vinegar. 3. Once the dough is well blended, transfer it to the prepared loaf dish. Bake for 30–40 minutes, until a toothpick in the center comes out clean with crumbs only. 4. Let the almond butter bread cool completely before slicing, and enjoy. Sure, you can use lentil flour to make bread, but you can also use whole lentils! 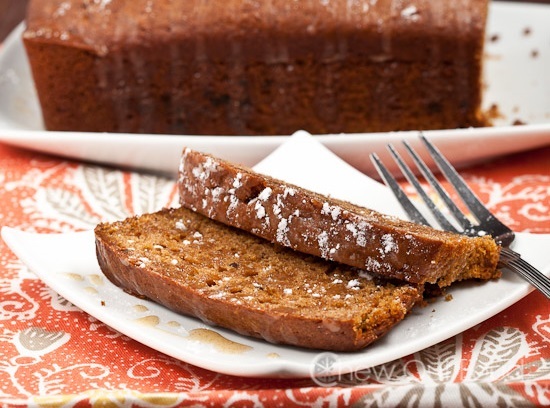 This recipe simply integrated red lentils into a classic honey whole wheat bread for a unique creation. It’s dense because of the lentils, but they also add a depth of flavor that whole grains alone can’t create. 1. Bring 1 1/3 cups of water to a boil, and add the lentils. Stir quickly so they don’t stick together, reduce heat, and cover. Let simmer for about 10 minutes, until all the water is absorbed. Set aside. 2. Combine 1/2 cup warm water, active dry yeast, honey, and bread flour in a medium bowl. Stir, and let sit in a warm place for 15 minutes. 3. In a large bowl, mix together 3 cups of bread flour with the salt, and set aside. When the time is up, soak the oats in an equal amount of very warm water for at least 5 minutes. 4. Add olive oil to the yeast mixture, and then pour it into the flour mixture. Mix thoroughly until the dough is crumbly. Add the oats and red lentils, and knead the dough with a wooden spoon for 5 minutes. Cover, and allow to rise for at least a half hour. 5. Lightly grease a large bread pan with olive oil, and sprinkle with flour. Turn the pan around to coat each side with flour, and tap the excess out onto a clean work surface. 6. Once the dough has fully risen, sprinkle more flour onto the surface. Gently knead the dough for 5–10 minutes, adding flour as needed to keep the dough and your hands from getting sticky. When it’s dense and firm, form the dough into a flat roll that’s taller than it is wide, and place it in the pan. Cover with a damp cloth or plastic wrap, and allow to rise again for 45 minutes. 7. Preheat the oven to 350°F. Bake the bread uncovered for 45–50 minutes. Serve warm, or store the slices in a zippered plastic bag in the fridge. 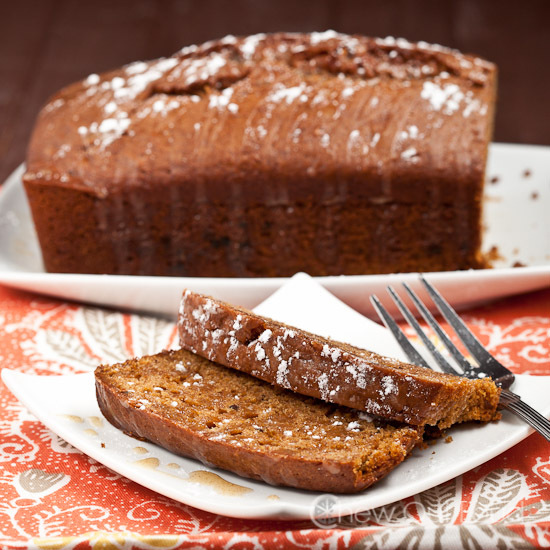 Potato bread is delicious, but sweet potato bread has even more flavor with a similar soft texture. It also has more sugar, however, which puts this loaf more in the dessert than the sandwich category. This recipe comes in hand when you need to use up leftover mashed sweet potatoes, and it makes a surprisingly decadent addition to a brunch spread. It’s also a good snack when you need quick energy on the go. 1. Preheat the oven to 350°F. Grease two 9” x 5” loaf pans. 2. In a large bowl, mix the sugar, orange juice, oil, eggs, vanilla extract, and mashed sweet potatoes. 3. In a separate bowl, combine the flour, baking soda, baking powder, salt, cinnamon, ginger, cloves, and nutmeg. 4. Incorporate the dry flour mixture into the wet batter, and mix until just combined. Do not overmix. 5. Divide the batter evenly between the greased pans, and bake for about an hour. Once done, the sweet potato bread will pass the toothpick test. 6. Remove the pan from the oven, and place on a wire rack to cool. This recipe is also best suited for a Paleo diet – or at least one that has plenty of room for healthy fats – because this bread is loaded with tree nuts, pumpkin seeds, coconut, and eggs. In fact, that’s almost all there is to it! 1. Preheat the oven to 350°F. Line a loaf pan with parchment paper, and lightly grease with oil. 2. Add the pumpkin seeds to a food processor, and pulse until finely chopped almost to a flour. 3. In a large bowl, mix together the pumpkin seeds, pecans, walnuts, almonds, almond meal, salt, baking soda, and coconut flakes. Set aside. 4. In a small bowl, whisk together the eggs, coconut oil, honey, and pumpkin puree. Add to the dry ingredients, and stir until well mixed. 5. Pour the batter into the prepared pan, and level the top, spreading it evenly into the corners. 6. Bake for 45–50 minutes, until the bread passes the toothpick test. 7. Remove from the oven, and use the parchment paper to gently pull the bread out of the pan. Let sit on a wire rack, and slice once it’s fully cooled. 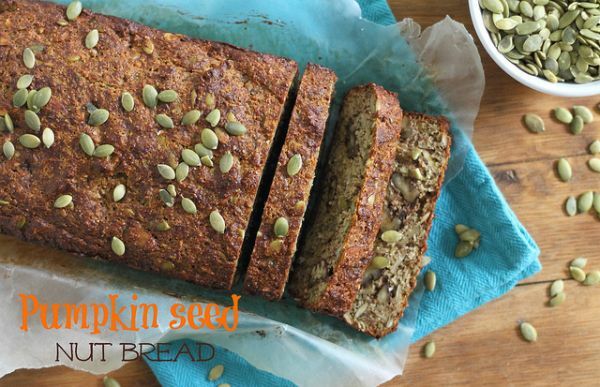 What did you think of these healthy bread recipes? Have anything else to share? Let me know in the comments below!